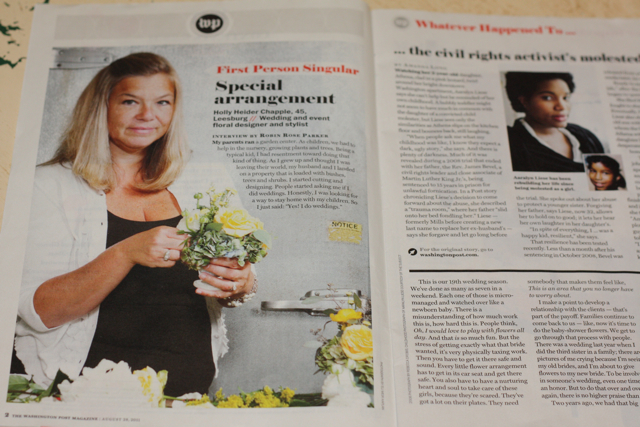 This past Sunday I had the pleasure of being featured in the Washington Post Magazine. This type of publicity is so much fun and I am always grateful for the attention our business receives. In addition to the in print article the story can also be seen on line here. You can bet my kids got a kick out of this!!! Many thanks to Robin Rose Parker who wrote the article and Eli Kaplan who photographed me in the studio. This is so great, Holly! Congratulations!